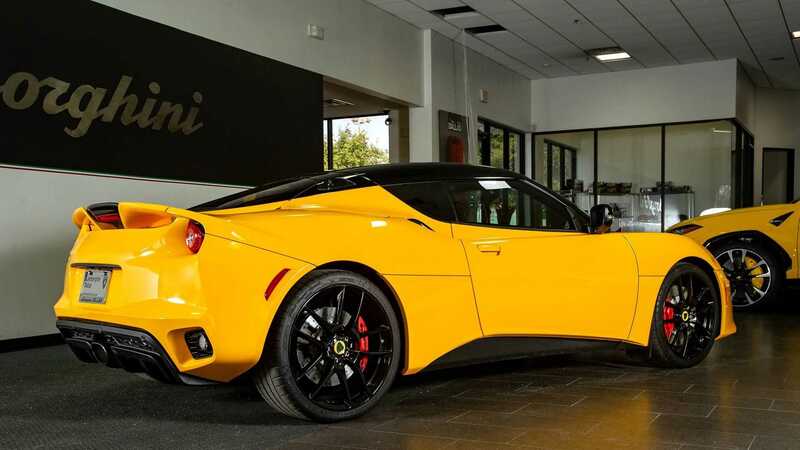 With just 2292 miles on the odometer, this black-on-yellow 2017 Lotus Evora 400 is primed and ready to dominate track day events this summer. 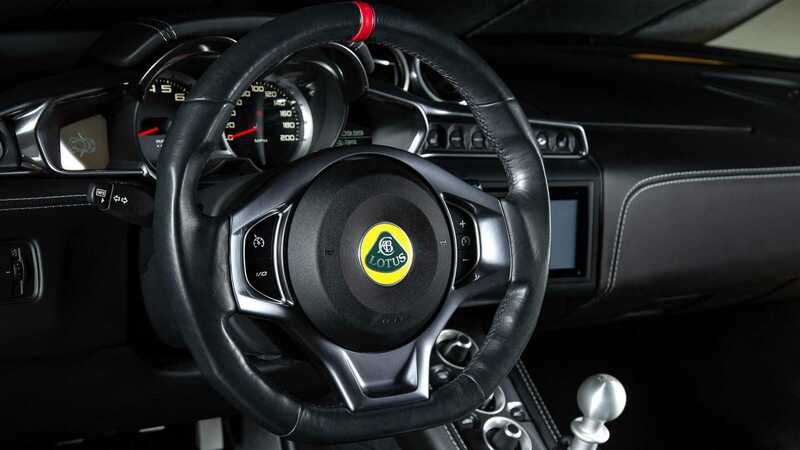 Lotus launched the mid-engine Evora on July 22, 2008, at the British International Motor Show. 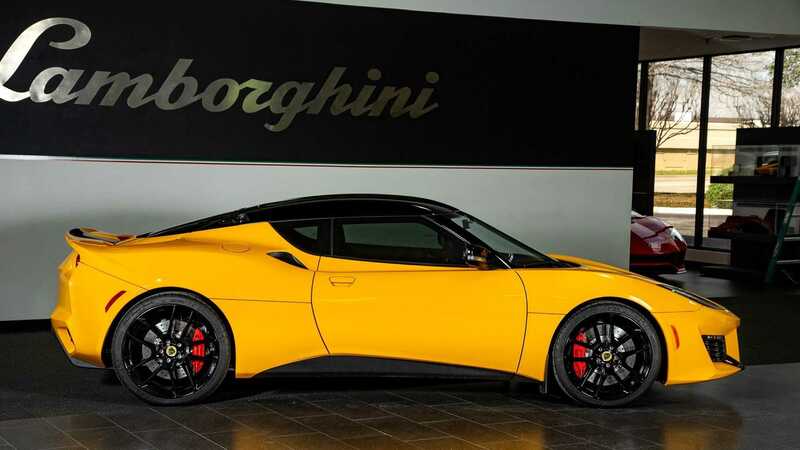 Designed by Russell Carr and built in Norfolk, England, the Evora remains available as a two-door coupe and a 2+2 coupe. 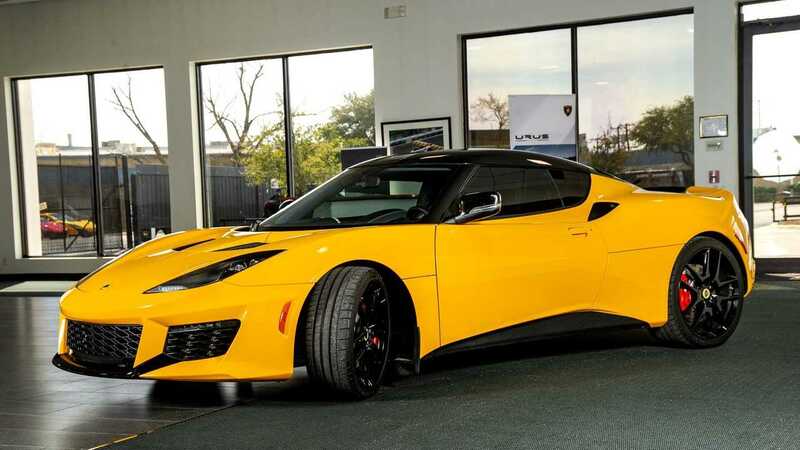 The initial Evora was powered by a naturally aspirated 3.5-liter Toyota GR-FE V6 engine. 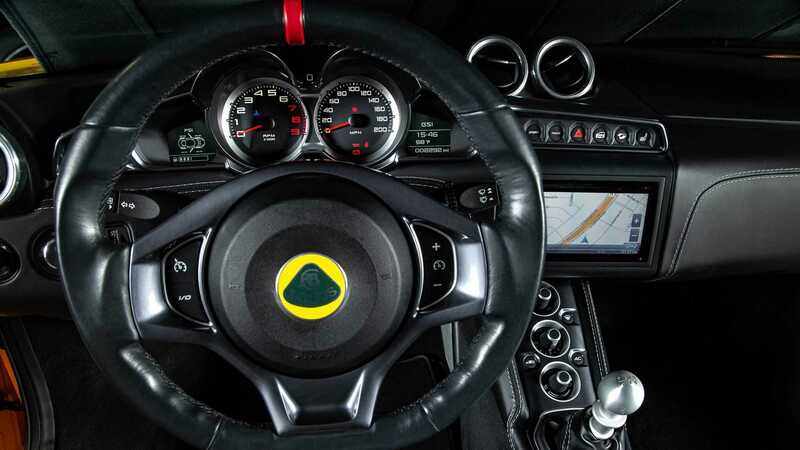 The Evora S, which was launched in 2010, and the Evora 400, which was unveiled at the 2015 Geneva Motor Show, are powered by a more powerful 3.5-liter Toyota GR-FE Supercharged V6. 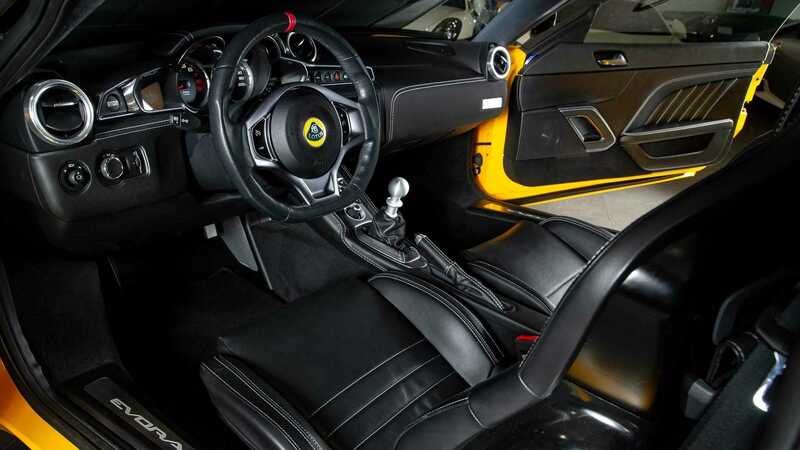 Regardless of the engine choice, the Evora could be equipped with either an Aisin Al six-speed manual or an Aisin Al IPS six-speed automatic transmission. 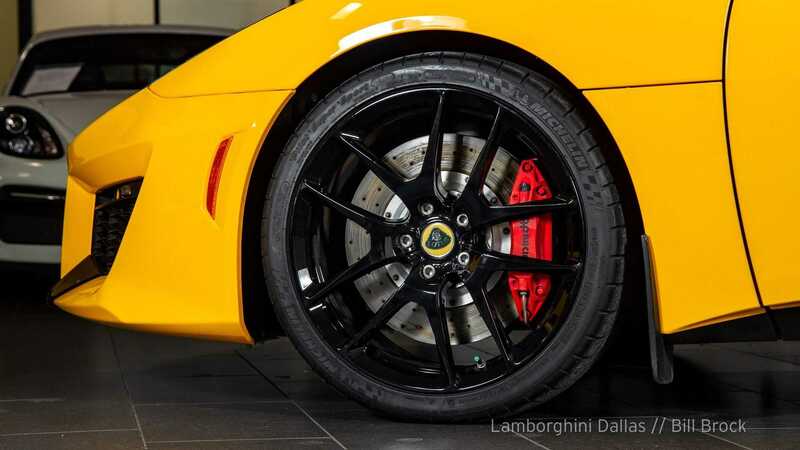 This particular 2017 Lotus Evora 400 currently for sale at Lamborghini Dallas in Richardson, Texas is the successor to the Evora and the Evora S. The Evora 400 is powered by the 3.5-liter Toyota GR-FE Supercharged V6 engine which has been refined to produce 400-horsepower and 302 pound-feet of torque. 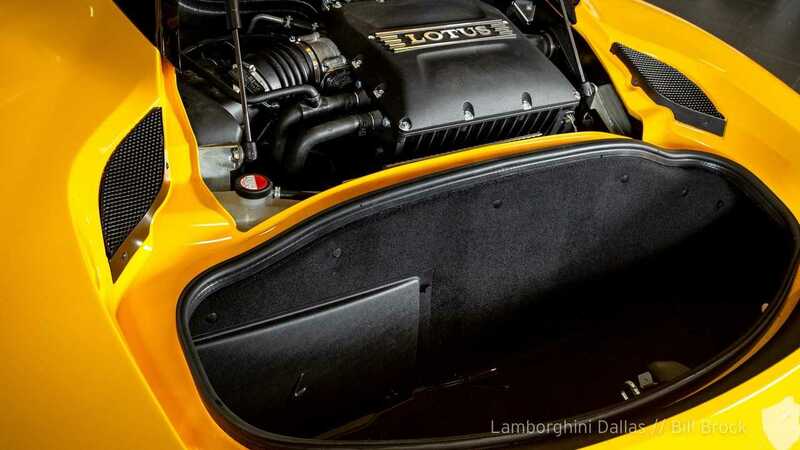 The engine is bolted to a six-speed manual transmission and sends power to the rear wheels. 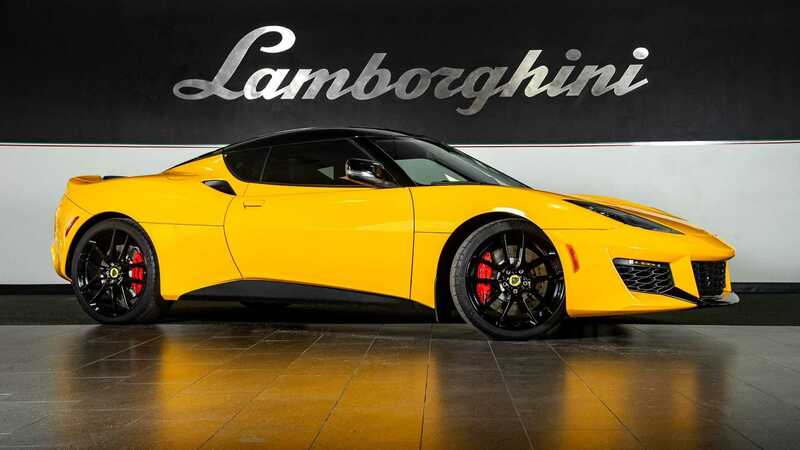 With the updated engine, the Evora 400 can sprint to 60 miles per hour from a standstill in 4.1 seconds and can reach a top speed of 186 mph. 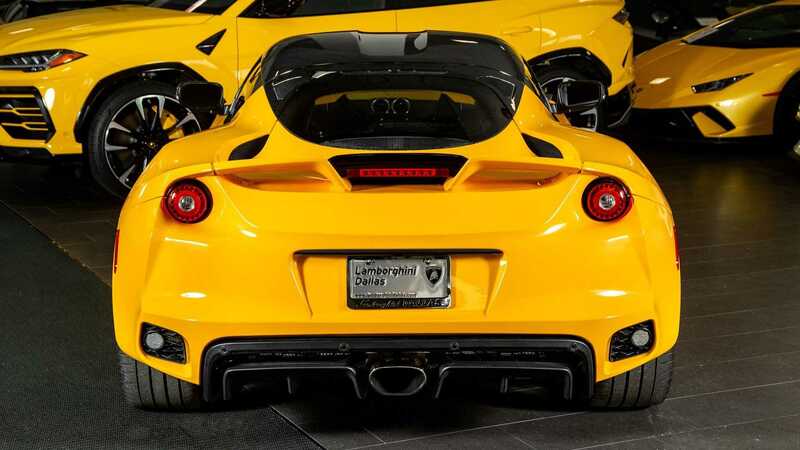 The listing states that this car comes with a clean Carfax title and is painted in Solar Yellow and features a black leather interior. 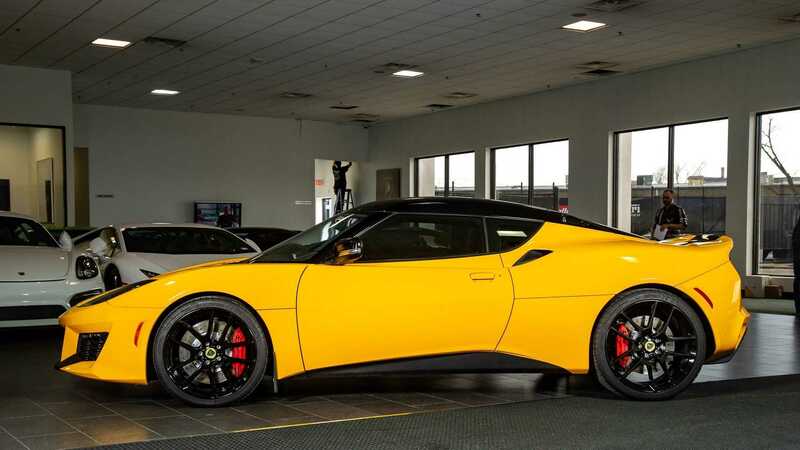 The seller also mentions that this 2017 Lotus Evora 400 is well equipped and comes with all the modern convenience and luxury amenities one might expect like a navigation system, rearview camera, cruise control, subwoofer, rear parking sensors, and a set of black 19 and 20-inch forged wheels wrapped with sticky Michelin Pilot Super Sport tires. 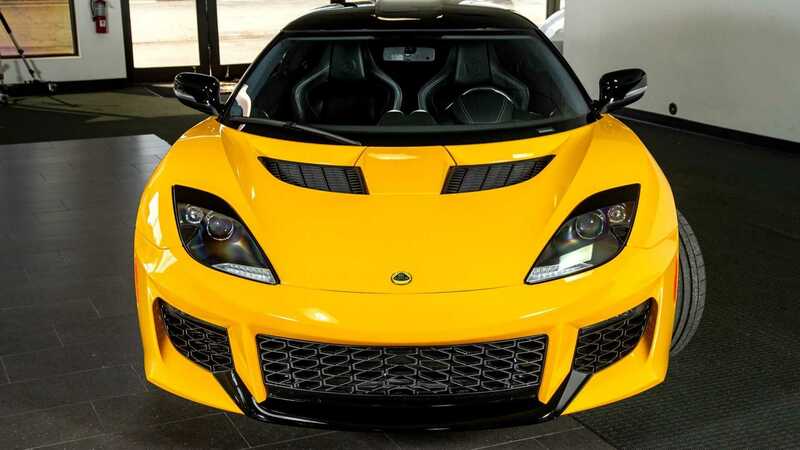 When compared to the Evora and Evora S, the Lotus Evora 400 is fitted with an all-new body kit design, which helps the car produce an extra 51 pounds of downforce. 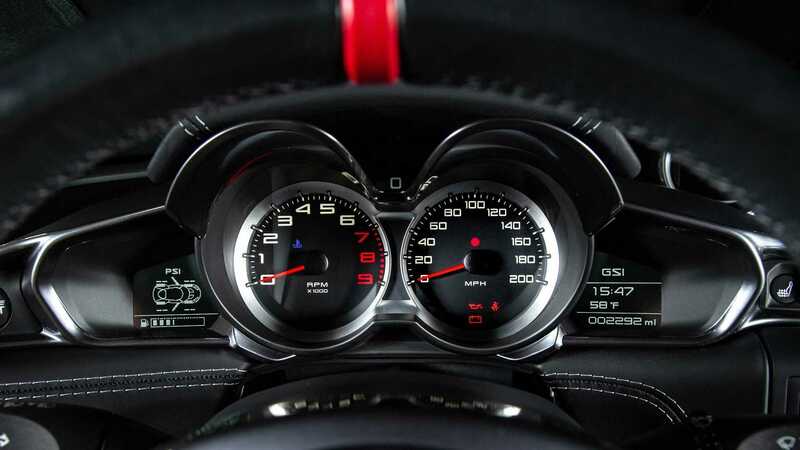 A new driver-activated exhaust system increases the Evora 400's roar. The rear wing now has a split wing design and the vehicle now weighs 3075 lbs. 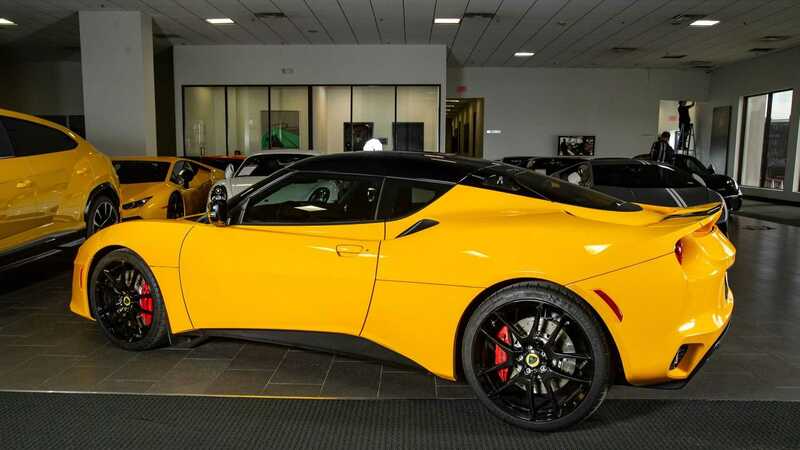 So, if you are in the market looking for a new sports car to play with this summer, then check out this 2017 Lotus Evora 400 with just 2292 miles on the odometer for sale at Lamborghini Dallas for $74,999.